Johnson was of course hired to create an entirely new Star Wars trilogy after his work on Star Wars: The Last Jedi. 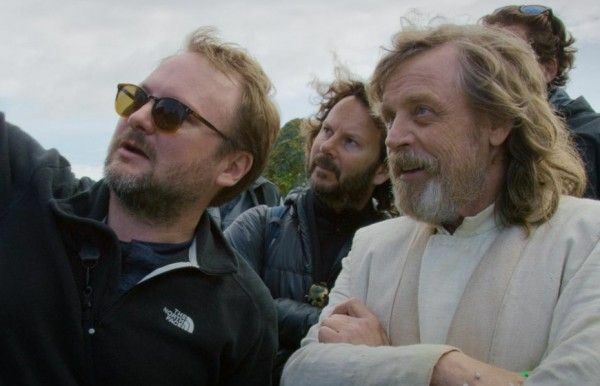 He and Lucasfilm got along so well that they wanted to continue their partnership, and Johnson is lined up to write and direct at least the first installment of the new trilogy, which will take place in a new setting with new characters we’ve never met before in the Star Wars universe. He’s currently in the midst of plotting out the entire three-movie arc. This is in development concurrently with another series of Star Wars movies from Game of Thrones showrunners David Benioff and D.B. Weiss, who are poised to start work on those films after they complete the final season of the smash-hit HBO series. Benioff and Weiss’ Star Wars movies are unconnected to and separate from Johnson’s trilogy. While news of Johnson making a new trilogy of Star Wars films was greeted warmly by many fans, detractors of the direction he took The Last Jedi obviously were none too pleased. Fortunately, it appears Johnson is still very much intending on making them. The filmmaker is currently in post-production on an original murder mystery called Knives Out, which boasts an all-star cast and opens in theaters this fall. One imagines after that hits theaters, we’ll learn more concrete details about when Johnson’s new Star Wars movies will be happening.